As I was driving to town to attend mass this morning I was running through plans for the week, trying to remember what appointments I have, what I need to be prepared for, and, especially, looking for blocks of time when my wife and I can spend some time together. I made a note that our parish has its Advent penance service this Thursday evening, and I looked forward to this being something Melinda and I could do together. Participating in the Sacrament of Reconciliation has always been special for me. In the year before I became Catholic, while I was waiting for RCIA to begin and then throughout the formation period, I would go to Confession for “practice”. My friends would tease me about it but it felt good to make my examination of conscience, admit to my lapses in virtue. and to pray for the grace to get better. Unable at that time to receive Christ in the Holy Eucharist, Reconciliation seemed to be the best place for me to meet Jesus. Then, my thoughts turned away from the paralytic and towards the four friends who cared enough to bring the man to where Jesus was teaching. Their faith was strong enough to not let the crowd obstruct them from arranging for the man to meet Jesus. I knew the true message of this Gospel passage was contained in Jesus’ forgiveness of their sins. Their faith and their love for their disabled friend saved them. The paralyzed man could not get to Jesus under his own power. Instead, it took friends who loved and cared for him – friends who brought him hope. I thought about all the people in our parish community, in our country and in the world, who, for one reason or another, are paralyzed in their faith. People who feel their sins are so severe they are too ashamed to admit them to God. Men and women, young and old, who have fallen away from their faith and now don’t think they are worthy of God’s love and forgiveness. I thought about all these good people, all children of God, who may just need “four friends” to bring them to Christ so they can be relieved of their “paralysis”. More than likely they can make it to church on their own two feet or in their own vehicle, but they just need some encouragement to go to Confession so they can be healed. They might only need to be reminded of the joy that comes from returning to grace and feeling God’s love for them. They may only need someone, like you or me, to rekindle their hope in this Season of Hope. We may also know someone who truly is “paralyzed” from going to the Sacrament of Reconciliation because they can’t make it on their own steam. Perhaps they are disabled, isolated and lonely, or simply have no vehicle in which to get to church. As faithful friends we are called to reach out, assist, and arrange the means by which they can have their meeting with our Holy Physician. 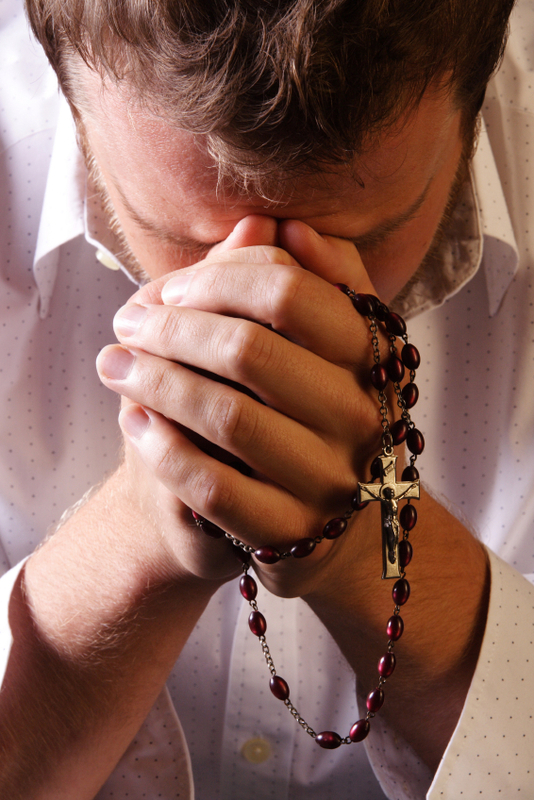 Every parish in the world is offering a penance service during this season of Advent. I hope that each of you reading this will make it a point to go to Confession to prepare your heart for Christ’s coming. And, I hope that each of you will reach out and be the friend who helps those who are paralyzed, in whatever form, make receiving the Sacrament a reality. In yesterday’s post, Tomorrow May Not Come, I mentioned how, when examining my conscience before our parish communal penance service, I couldn’t think of any sins I had committed since my confession last Saturday. But, through a God-moment, I remembered there are two types of sins – Sins of Commission, things I’ve done wrong, and Sins of Omission, things I should have done but failed to do. In the relatively short time I’ve been Catholic, I confess to you that I have never really understood the aspect of Sins of Omission until this last weekend when the two types were explained to me by a deacon. So, for the first time ever, I took time to examine my conscience in light of “what I had failed to do”. I didn’t come up with much but what I did find made the exercise worth doing. I went to reconciliation last night and, to one of the four priests there, I confessed my sins of omission. And, I learned something interesting: most people focus on their wrong actions, their sins of commission, but very few take time to think about what they should have done but didn’t, their sins of omission. For when I told the priest the what and the why of the two things for which I was sorry, he said, “Whoa, wait a minute, it’s been years since anyone confessed to me what they have failed to do! Let me consider for a second what to do about this!” After a few moments he continued, “I’ll tell you what, it sounds like you know what you ought to do, so your penance is to go and do those things.” I think I heard a sigh of relief. My guess is that most of you, when examining your own consciences, probably don’t think about your sins of omission. Maybe you ought to. Rise up and separate yourself from the crowd. It feels good to recognize those areas where you need to do better. And, as always, it feels good to receive forgiveness for them. But, there is something else: there’s just a touch of satisfaction in pitching a change-up and have the priest take it looking. So, folks, when you take time for an examination of your conscience, consider your sins of omission. Broaden your repertoire. Then, instead of your usual fastball, go throw your priest a Confessional Curveball. He may appreciate it as much as you will. The last few days have been extremely busy for me: out of town travel, nights away from home, meetings, extended conference calls, training, and the like. This morning on my way to work I thought, “Man, I’m looking forward to a quiet evening at home tonight, just my wife and me.” Then, about five minutes later when I got to work and checked my weekly calendar, I realized that tonight is already spoken for: we have our parish Lenten Communal Penance Service at 7:00 p.m. I had completely forgotten about it. My mind zeroed in on the line, “….and in what I have failed to do”. My idea that I haven’t committed any sins in the last five days may be true, but I failed to consider my sins of omission, those things which I should have done but failed to do. I guess I know where I’ll be tonight. But, that’s okay. As I often hear people say, “It’s all good”. I’ve never been to reconciliation without coming away feeling relieved, as though my load is lightened. I always feel God’s presence and feel strengthened by His forgiving Love. This is the season of Lent. And, if your parish has a Lenten Penance Service, take advantage of it and let God’s mercy lift some of that excess baggage off of you. If you’ve let your parish Penance Service pass you by, you still have time before Holy week to take advantage of your regularly scheduled reconciliation opportunity. Make time for it. Open your heart and let God’s presence and His Healing Light shine into the dark recesses of your soul, and be renewed. God is constantly ready to forgive us if we just turn to Him. Do it soon. Your “tomorrow” may not come. On January 5th I became a grandfather for the second time. My grandson, Jack, and his parents came home from the hospital on the 7th. On the evening of the 8th Jack stopped breathing. My wife, Melinda, was holding him when the event occurred. Her sister, Barbara, who is an RN, and her husband, Dave, a physician, had stopped by to visit and see the new arrival as they were driving from South Dakota to St. Louis. They helped revive him. The EMTs arrived and whisked Jack to the hospital where he spent the next 17 days undergoing a plethora of tests. Jack is home now and doing well. But, this story really isn’t about Jack. I needed to set the stage with his life-threatening event in order to relate the life-changing experience I had because of it. In my life I have had no major tragedies, and only one significant infirmity, within my immediate family. Thus, after Melinda phoned me the next morning, I wasn’t as cool and collected as I had been trained to be in emergency situations. Panicked would be a better adjective. I prepared to go home, pack a bag, and start the ten hour drive from Ohio to Kansas City. But first, I sent an email to friends from church and to the coordinator of our parish prayer chain describing the situation and asking for prayers. I’ve never driven so far with something so heavy weighing on my heart and mind. Before I reached Indianapolis I found myself crying, fraught with fear for Jack’s health and grief for Lisa and Joe. I felt helpless. I’m a man and an engineer. One of my jobs is to fix problems. Not knowing how to fix little Jack nor how to comfort my daughter was eating me up. At a rest stop just past Indy I checked my phone for emails. Angie, a dear friend back home, emailed saying she believed that Jack’s guardian angel was with him the night before. Had he been lying down instead of being held, he could have stopped breathing with no one the wiser. Then, she stressed that Barb and Dave were there by no mere coincidence. She believed they were sent there by God at just the moment Jack needed them. Her message was so positive and encouraging, and she lifted my spirits. But, by the time I reached Illinois I was again in a state of despair. Searching the console between the seats for a napkin to wipe my tears, I found, instead, one of my rosaries. I don’t know how it got there; I don’t remember putting it there. I am not accomplished at praying the Rosary but I sensed I was meant to find that rosary at that moment, and, if there was ever a time to ask Our Lady to intercede and help me in my prayers to Jesus, I felt this was it. In the fourth Mystery, The Carrying of the Cross, I contemplated how Jesus accepted His suffering out of His love for us. I thought about how His Mother, Mary, must have felt as they met on the road to Calvary. “Oh, how Her Heart must have ached.” I felt we had something in common. And, finally, as I prayed the fifth Mystery, The Crucifixion and Death of Jesus, I was reminded of Jesus’ words to his disciple just before He died, “Behold your Mother”, and how He wishes that we depend on Her Immaculate Heart for a refuge. Over the next couple hours I thought much about these messages. I didn’t know how to “give it up”, so I prayed fervently for the Lord to help me help Jack and his parents. West of St. Louis I took my rosary in hand and prayed again. This time I asked the Lord to take away my pain and suffering or, at least, let me bear it so that Jack and his parents would not have to. I arrived at the hospital in time to see Jack for a few minutes before visiting hours were over. Seeing him connected to all those wires and tubes was difficult. But, seeing the fear in Lisa’s and Joe’s eyes was even more so. That night, before bed, I prayed for God to help them and to help me know what to do. On Saturday morning I saw an article on social media about self-pity and how we need to look to God instead of to ourselves. This drifted in and out of my conscious thoughts the rest of the morning. Also that morning, I discovered a headlight out on my car. I didn’t need that, but I knew it would need repairing before heading home the next day. I spent a few precious minutes with Jack back at the hospital before I left for the dealership. Standing there, unable to hold him, I still felt helpless. I knew Lisa felt the same way. On my way to the dealership, I recalled Angie’s note, the messages I received from praying the Rosary, the message about self-pity, and my despair of not knowing what to do. Then, with the images of Jack wired to the monitors, and the concern on my daughter’s face, my emotions reached a climax. I’m not sure how to explain what happened next. I think I realized it was all beyond me, that only God could help. I think, in my heart, I finally gave it up to Him. I say “I think” because, in the nanosecond in which I made that leap of faith, I went from bewilderment to immediate, unprecedented, and intense joy. I instantly began praying, “Thank you, Jesus, thank you!” In that moment when I had unconsciously placed my trust in Him, He told me Jack was going to be okay. I also knew that my faith had finally become more than words. “The question mark hung at the end of every fear / Is answered by the promise that You are with me here / And that’s all I’ve got when the lights go out and I lose my way / So, I’ll close my eyes, I won’t be afraid, I won’t be afraid. At the moment I pulled into the dealership I received a text from Eric, a friend back home, saying he was praying for Jack and the rest of us. This text was special because Eric is the one person I know who routinely says, “Let go and let God.” It was as if he intuitively knew I had just done so for the first time in my life. The Gospel for that day, included John 3:30: “He must increase; I must decrease.” It was a reminder to look constantly to Jesus instead of inwardly with self-pity like I had the last day and a half. At 2:10 p.m. my car was repaired. I wanted to get back to the hospital to see more of Jack, but, I now felt pulled to go to Reconciliation. I found the Queen of the Holy Rosary Church was on my route back to the hospital and they had Confession at 2:30 p.m. I arrived there at 2:27 p.m. After relating my story to the priest and confessing my sin of not trusting God, he assigned me a penance to say a prayer of Thanksgiving. When I returned to the hospital and saw the little man again I knew in my heart he was going to be okay. I didn’t know when but I knew, in God’s time, he would be. I felt the positive power of hundreds of prayers being said for him. I was at peace. It is in these God-moments, when the Lord reveals Himself to me, that I feel closest to Him. I now know what Eric means by, “Let go and let God.” I know what trusting in Him means. And, I now know how to put my faith where my prayer is. 1 A Way To See In the Dark, ©2011 Centricity Music Publishing, (ASCAP)/Nothing is Wasted Music (ASCAP)/Simply Complex Songs (SESAC)/Countermechanical Music (SESAC)/Centric Songs (SESAC), words and music by Jason Gray, Doug McKelvey, and Seth Mosley. As a youngster I remember being read Christmas stories of the Nativity. The most prominent memory is that of Mary and Joseph being refused accommodations at the inn in Bethlehem. I thought what a terrible man the innkeeper must have been to refuse giving a room to a poor pregnant girl and her husband, especially since she was carrying baby Jesus! This memory came back to me the other day from two different sources. First, as I dusted off my Christmas music CDs, I found Christmas Stories: Repeat the Sounding Joy, by Jason Gray. Track 4 on the CD is titled Rest (The Song of the Innkeeper)1, a story from the perspective of the innkeeper. Then, I was looking through my library and I found the classic short story, The Innkeeper’s Wife2,by A.J. Cronin, a Scotsman, who, was commissioned to write a Christmas story for the December 21, 1958 issue of The American Weekly magazine. As his title suggests, he chose to write from the wife’s perspective. It’s December in Palestine. There’s a dusting of snow on the ground and a chill in the air. Residents are under the oppressive thumb of the Roman procurator, Herod, and “forced to worship as idols the deified Emperor set up in the temple.”2 Herod has ordered that all people must go to the temple to register for the census and pay their taxes. There is a constant stream of people transiting through Bethlehem. Our innkeeper, Elah2, laments, “There were no rooms to rent tonight, the only empty bed is mine, I’m overbooked and overrun, with so many things that must be done, until I’m numb and running blind!”1 He is turning people away. This has been going on for weeks. Elah and his wife, Seraia2, are running out of food to feed their guests. They’re making money but it is wearing on them. Their marriage is strained and Seraia is getting hints of Elah’s possible infidelity. It’s been a rough, tense day for the two when a young, pregnant woman and her older husband, cold and dirty with worn robes, come into the inn asking for shelter. Now comes the moment of reckoning – how the proprietors respond to Joseph’s and Mary’s plea. In Gray’s story, the innkeeper turns the pair away from the inn but leaves us to assume that, with some measure of charity, he offers his stable to Joseph and Mary (“…But at least they won’t be wondering, if they’re sleeping on my stable floor”). He confesses his belief that his people will be delivered from their current plight by a Messiah, but he alludes that perhaps the busyness of life doesn’t give him the time he needs to pray for it (“As a boy I heard the old men sing, about a Kingdom and a coming King. But keeping books and changing beds put a different song inside my head, and the melody is deafening.”). Then, in his fatigue, the innkeeper makes a desperate plea for deliverance (“I need rest, I need rest, Oh come oh come Emmanuel, with a sword deliver Israel, I need rest!”). Gray closes his song with a beautiful bit of irony. Believing that the Messiah will be a sword wielding King, it never crosses the innkeeper’s mind that his Savior, and the peace for which he is searching, is lying in a bed of straw in his own manger (“Tonight I can’t get any sleep with those shepherds shouting in the streets. A star is shining much too bright, somewhere I hear a baby cry, and all I want is a little peace.”). In A.J. Cronin’s short story, he draws us deeper into the event by closely examining the players: Elah, Seraia, and Malthace, one of the hired help and Elah’s supposed mistress. Seraia, the wife, is introduced as loving, tolerant, and forgiving, but emotionally bruised from the loss of a baby during child-birth which has driven a wedge between her and her husband. Now, Elah has turned his attention to the alluring Malthace leaving Seraia lonely and ignored. Elah is obviously struggling to cope with the pace of business due to the influx of travelers into Bethlehem. He is gruff, self-centered and bedraggled. When Mary and Joseph present themselves at the inn looking for a place to stay, Elah angrily turns them away without a shred of charity. Seraia, on the other hand, exhibits compassion for the couple and, through her gentle heart, takes pity on them and leads them to the stable, a small cave cut into the bank opposite the inn, and invites them to shelter there. The story continues with the birth of Jesus and Seraia befriending the couple, helping them care for the baby Jesus. She retrieves from her room the swaddling clothes she made for her baby, but which were never used, and offers them to Mary for her special baby. 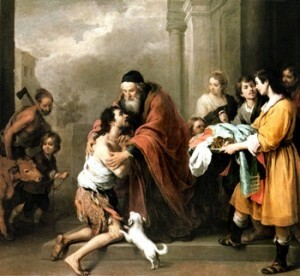 Seraia develops a bond with Mary and falls in love with the infant child. Elah eventually learns that his wife has been sheltering the couple and that their child has been born. He does finally notice the new bright and rising star and soon encounters “three horsemen, richly dressed and of dark complexion” who are perhaps “potentates from the East”. These strange visitors will have nothing to do with him but, instead, head straight for the stable. He notices that each is carrying a rare and valuable gift: one of gold, one of frankincense, and one of myrrh. The story closes with husband and wife finding peace and restoring their love for each other. Seraia vows to remember and celebrate the anniversary of the birth of this special child. And, in a strange twist, the innkeepers are recompensed for their hospitality when they find, left behind in the manger, the King’s gift of gold in the rough shape of a cross. Both Gray and Cronin present very imaginative stories in their own right. In Gray’s, the innkeeper was so set on believing their savior would be a mighty warrior king that he never opened his heart to God incarnate. And, in Cronin’s, the innkeeper would have met the same fate had it not been for his forgiving and loving wife who provided shelter to the couple. Through her the opportunity was created for him to gaze upon the Christ child, Who ultimately returned love to his heart. As I get closer to Christmas, I know Jesus has looked me in the eye and helped me evaluate my heart. He has made me more aware of my love for others and He has helped me see my guilt. I feel fortunate to have, at last night’s penance service, been able to reconcile and receive the grace of His forgiveness. Now, when I give the gift of myself to Him on the anniversary of His birth, my heart will be clean. How long has it been since you let Him stare into your heart and convict you? It’s not too late. 2The Innkeeper’s Wife, by A.J. Cronin, ©1958 Hearst Publishing Co., Inc.
My last posting was about showing mercy to yourself and it was labeled Part One because I felt what I had to say was too long for one post. My plan was to simply wait a week and post the remainder of it as Part Two. But, things changed. In the last week I have had some very thought provoking and inspiring conversation with a close friend who helped me work through some issues and, as a result of his caring and insight, I felt it necessary to revise what I had previously written. It’s a little longer than I would have liked but I hope it’s worth your time to read it. Heads or tails it depends upon who’s watching at the time. One part is the Prodigal, the other part deception. I love those first two lines. That’s me. For example, if you asked a family member, a friend or two, and a couple co-workers what type of person I am, I’m sure you would get several different opinions. Another example would be that I can keep a promise to someone else but often fail to keep promises to myself. Generally, I’d say the person most people see in me is the Golden Boy, or the deception, and the person I see when I look in the mirror is the Prodigal. And that’s what bothers me. Let me give you an example. I’ve been trying to lose a little weight. Well, a lot of weight actually but a little is a starting point. I’ve told the people at my main office in Ohio of my intentions, I guess you could say they are pseudo accountability partners for me, and when I eat lunch there I’m usually pretty good about what I eat. But, when I’m away from that office I find it easy to slip-slide and pig out without anyone the wiser. A couple weeks before my baptism into the Church I was at our office in Indiana and I gave a presentation to a group of employees. It was a stressful presentation and it ran up to lunch time. They ordered pizza in for lunch and I ate most of a large pizza on my own before I hit the road. As I was on my way out of town I passed a Dairy Queen and had an immediate urge for a Blizzard. The marquee said the special was mint brownie chip. A small wasn’t good enough so I got a medium sized one, instead. It was darn good, too. Then, about ten miles down the road it hit me what I had just done! It was like I was on auto pilot or something. The stress from the meeting drove the cravings and they drove the overindulgence. Not until I relaxed was I cognizant of what had just taken place. I found a section of road with a wide shoulder, I pulled over and I commenced giving myself a mental beating that was sure to have made the devil proud. I had been praying every day for help and strength to get past the temptations and I promised myself and God that I would do better. Up until this point I had been doing pretty well. But this day I fell, and fell hard. I sat there in my car, consumed with remorse, praying for forgiveness, and I promised again that I would do better. I was making myself “crawl back” just like the Pharisees would have me do. And, unlike I suggested in Part One, I obviously had forgotten everything I had learned about showing mercy to myself. In my pre-Catholic life things would happen every now and then that I would call coincidence. But, in my new life I find myself looking for those instances and, because of that, they seem to happen much more frequently and with such clarity that I no longer believe them to be coincidences. I believe they happen on purpose and I call them God-moments: those times when God shows Himself in some unexpected way. What would happen next was just one of those moments. “The one who is making everything new doesn’t see me the way that I do…”. Now, if that isn’t God talking to me with the very words I needed to hear at the very moment when I needed Him the most, I don’t know what is. God wasn’t making me crawl back and he didn’t give me more time than I needed to stew on it, either. Just like Jesus said. And I didn’t waste any time in finding a place to pull back over and bow my head in prayer to offer my thanks to God for his love. So, fast forward to this week and I was telling my friend about the stress I’ve been under lately, how I’ve not been living up to the promises I had made to myself, how I’m kicking myself over it, and about the dry spell in God-moments I’d been having. I told him I wasn’t sure what it would feel like to be in such good grace that I would feel an overpowering contentment from God’s love. My friend told me, “God loves you man. God loves the good and bad about you. No one is perfect. God knows that, we are not perfect. We all fall short and all sin…over and over again. But, God is there always to guide us. Look to God to help you, to change you, to better you as a person. God loves you as you are, no matter what. He knows you better than anyone and knows your sins. The instant you confess your sins they are forgiven. From there, let it go. Let God help you work on yourself to be a better you.” It was like my friend had just read that passage in the Little Black Book from March 11, and was paraphrasing it back to me. So, I took a moment to pray for God to help me feel His love. And it was then that I remembered that instance in the car when those song lyrics played and reassured me of His love. I had forgotten that moment, that feeling. My friend’s caring and faithful counsel brought it back to me. It also reminded me of the need to show mercy to myself. Plus, I hadn’t had a good God-moment in weeks and here I was getting a load of them dumped on me all at once. Again, just what I needed to get me out of my funk. I thank God for His love and the love of good friends. 1. The Golden Boy and the Prodigal, Jason Gray, ©2009 Centricity Music Publishing/ASCAP, from the CD Everything Sad Is Coming Untrue. 2. I Am New, Jason Gray & Joel Hanson, ©2009 Centricity Music Publishing/ASCAP, Where’s Rocky Music/BMI, from the CD Everything Sad Is Coming Untrue. Throughout late 2010 and into all of 2011, I worked to become a better spiritual leader to Elissa and my three daughters. However, I struggled with the guilt of my past sins and prayed for guidance frequently. The answer, of course, was in front of me every Saturday afternoon before 5:30 mass but I tried not to see it. In December of 2011, God finally got through my thick skull that I needed to reconcile with Him by confessing my sins to Him through the sacrament of reconciliation. The problem was that I hadn’t been to confession in over 30 years and couldn’t even remember what to do. I had to look up the rules on-line and re-memorize an act of contrition. It seemed simple enough: Walk in, say hello Father it has been 30 years since my last confession. He’ll then ask me to state my sins. I figured that might take awhile for me. After that, he might ask me questions for clarification and then ask me to make an act of contrition, give me penance, and say a prayer of absolution. Why was it so hard for me to step into the confessional? Reconciliation brought me great relief and a renewed desire to grow in my faith. It brought me closer to God, and made me want to amend my life in several ways. Reconciliation made me want to grow in my faith. I signed up for a Christ Renews His Parish (CRHP) weekend in April 2012. Hearing the stories of the men during my receiving weekend moved me deeply. I realized that I was not alone in my troubles and that there was hope for a sinner like me. I attended reconciliation that weekend and felt a new sense of peace. I also did something I never thought I would do, join a CRHP giving team. Those six months were a blessing in my life as I came to know, love, and respect all the men on my giving team. Those blessings continued in March of 2013 when I joined several other men in Morristown, Tennessee to present CRHP for the very first time to 19 men at St. Patrick’s Catholic Church. Reconciliation made me want to be a better husband to Elissa. To help with that, Elissa and I attended a marriage encounter weekend in May 2012. If you have not gone to one, I highly recommend it. We learned so much about each other, improved our communication, and renewed our commitment to each other. During that weekend, we promised each other that we would try couples prayer. Neither of us had much experience with spontaneous prayers said aloud. I am happy to say that we have prayed together for a year now and it continues to bring us closer to each other and to God. In the summer of 2012, I started date night with Daddy for the girls. Each month, one of my daughters picks an activity for just the two of us. I have taken them to baseball games, fancy dinners at the Golden Lamb, and putt-putt golfing at the Web on Cincinnati-Dayton Road. What we do together isn’t really the point. What is important to the girls is that they get one-on-one time with their father. I do this to try to demonstrate what love is to my girls so that as they get older they do not seek love from others in inappropriate ways. Reconciliation made me want to be an active participant at our parish. I did that by becoming a lector last year. It has helped me focus on God’s word and set a leadership example to my wife and daughters. One benefit I got from lectoring is that on August 26, 2012, I got to read Ephesians 5 to the congregation. God spoke to me in August 2010 through that passage, urging me to serve my family by leading them to Him. I read it from the heart because it has had such a strong and lasting impact on my marriage. I am still a sinner, always will be, but with the sacrament of reconciliation and God’s grace, I can now confidently, and without hypocrisy, lead my family in our spiritual life. I thank Him every day for another opportunity to do His will. If you have avoided this sacrament, I encourage you to step out in faith and step into the confessional. You will not regret it.